Dustin Nguyen begins production on Monk on Fire (Buddha Fire) with Roger Yuan, Jason Ninh Cao and Veronica Ngo! While waiting for things to get going on Iron Monk, Jason Nihn Cao has started working on Monk on Fire, a film that has been in development for a while, a project being directed by 21 Jumpstreet’s Dustin Nguyen (That will be the final time I associate his name with that show on this site) who scored a hit with the Vietnam martial arts epic The Rebel. Now things have gotten going, as the fight rehearsals have started. The film stars Dustin Nguyen, Roger Yuan, Veronica Ngo (Clash) and Jason Ninh Cao. Roger Yuan is also reported to be doing the fight choreography. Information on the story is thin at the moment, but what is known is that it’s a fantasy martial arts story that revolves around a rivalry between two buddhist warriors (Nguyen and Yuan respectively). I’ll get in touch with Jason Ninh Cao to see if he can give any more details. More to come! Next Kiai-Kick Q & A with Matthew Page aka Master Ken from Enter The Dojo! Forgive me and multiple apologies Michael but Roger Yuan reminds me of the old gangster movies with Edward G. Robinson (Little Caesar); James Cagney (Public Enemy) and Humphrey Bogart (The Maltese Falcon.) I love to watch Roger portray any and all characters. He always brings his personal interpretation to the role in a “strong” controlling manner. Roger has the unique charisma, the innovative strong body language and his tough guy signature style strong-arms me to “believe” in my heart even though I know in my head that the story is only in the land of make believe. That’s some serious pedigree. 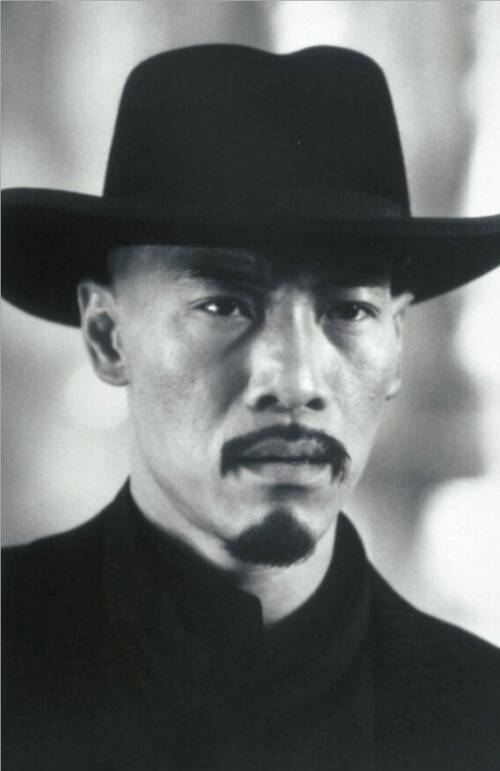 I always get Roger and Ron Yuan mixed up – Ron did the fight choreography for Angel of Death and The Girl From The Naked Eye, Roger co-starred in The Fifth Commandment. The Rebel is one of the strongest martial arts movies to come out for a while, and Veronica Ngo’s action is a big part of that. Combine that with the great job that Dustin Nguyen did directing that film, gives me high hopes for this one. Curious to see if Johnny Nguyen gets added to this cast at some point, too.